There are four stakes races with more than $350,000 in prize money running this Saturday at Oaklawn Park. All of them will be run at 1 1/16th-miles on dirt. 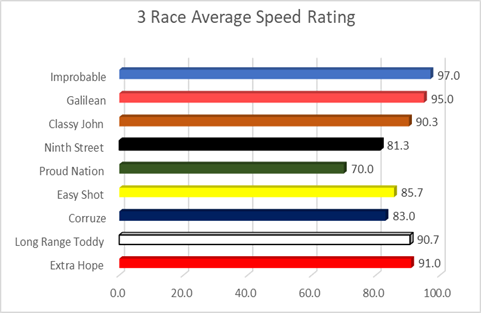 We are going to look at the data to identify trends/biases at the distance to see if there are any edges available for horseplayers, but before we get to the results, a little background on why there are two Rebel Stakes races this year. The story starts in Arcadia, California. When Santa Anita temporarily shut down racing to inspect their tracks, the San Felipe Stakes was canceled. The San Felipe is one of the six races that offered 85 Kentucky Derby qualifying points (50 for 1st, 20 for 2nd, 10 for 3rd, 5 for 4th). So, some of the horses entered in the San Felipe needed an alternative. Oaklawn and the Rebel Stakes are beneficiaries of the sad situation at Santa Anita, attracting Bob Baffert's three-year-old stars GAME WINNER and IMPROBABLE. Oaklawn President, Louis Cella, said he would split the Rebel Stakes into two races of 20 or more horses entered. While only 19 entered, General Manager Wayne Smith, felt the need to help horse owners by creating two divisions for the Rebel Stakes anyway. Each Rebel Race will award 63.75 Kentucky Derby qualifying points, with the winner receiving 37.5 points. 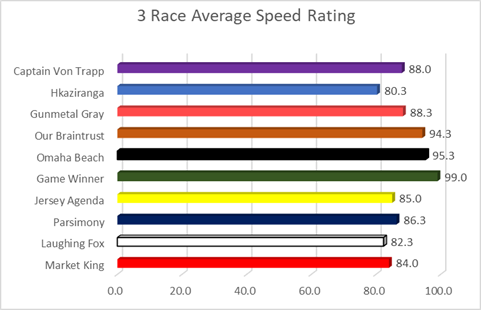 And that's why there are two Rebel Stakes races this year; now onto the data analysis of the last forty, 1 1/16th-miles dirt races at Oaklawn Park. 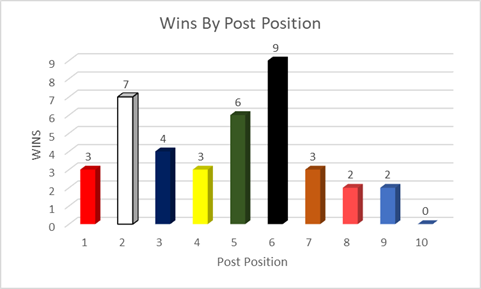 As you can see from the chart below, the six spot is the place to be winning nine of 40 races (22.5%). The two-hole runs second with seven wins (17.5%) and post number five is right behind with six scores (15%). Combined, the three highest winning posts accounted for 22 of the last 40 winners (55%) at the distance. 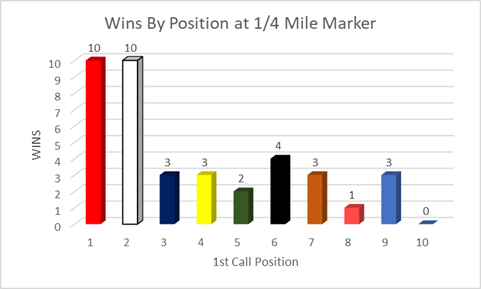 Being first or second at the quarter-mile marker has been the place to be, delivering 20 of the last 40 winners. The eventual winner ran first or second at the 1/4 pole 10 times each. If your horse is in one of the top four positions at the half-mile marker, there is a 72.5% chance he/she could be the winner. 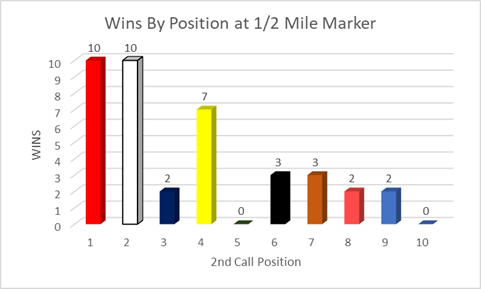 As you can see from the 1/2-mile position calls for the last 40 winners at 1 1/16th-miles, 29 ran first through fourth. There have been four stakes races with prize money of at least $100,000 in the last month. The average winner ran a figure of 101, with a max of 105 and a minimum of 96. 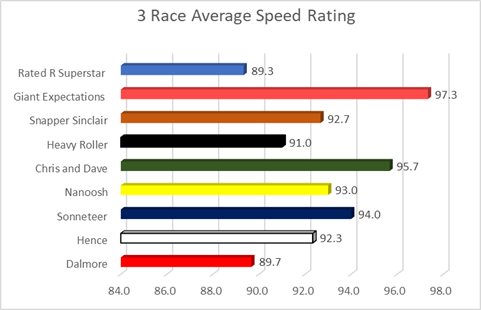 Keep those numbers in mind when reviewing the three-race averages for Saturday's four stakes races. 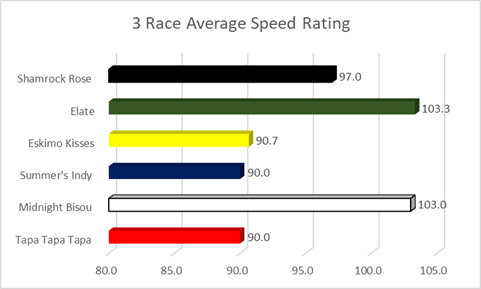 The data we reviewed suggest that an inside horse with early speed and the ability to run close to a triple-digit speed number has a strong chance to win any of Oaklawn's Saturday stakes races. Of course, there will be exceptions to some of the "rules", but we'd expect most of the stakes winners to match at least one, if not two of the categories. GET OUR FULL CARD OAKLAWN PARK AND REBEL STAKES PICKS!